Animal rights encompasses a whole raft of ideas, but basically, is the term used to apply to the idea that animals, other than humans, are entitled to basic rights. These rights clearly differ from human rights and tend to be less concrete than human rights. Rather than having a list of things animals are entitled to, the idea of animal rights is to end animal suffering – which manifests itself in a variety of ways. 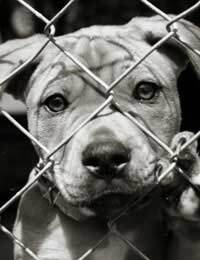 Animal rights activists range from people who try to end criminal neglect of animals, such as malnourishment and abuse, to people who are determined to end practices such as animal testing – something which can tend towards the controversial, especially when talking about medicine and drugs testing. Animal rights, in fact, have long been associated with controversy – both in the ways in which animal rights are neglected and also in the actions of some animal rights activists. To neglect animals, pets, farm animals, or any other animals which a person ‘owns’ is clearly infringing animal rights as it is causing unnecessary suffering to an animal – and furthermore, an animal which depends on that person for food, drink, shelter and basic medical care – the very minimum an animal which is not in the wild should be entitled to. In the UK, this kind of animal abuse is policed by the RSPCA (Royal Society for the Protection of Animals). This is an organisation which, if it discovers instances of animal cruelty, can prosecute the person perpetrating it and often results in hefty fines, prison sentences and bans on keeping animals. Sadly, the RSPCA also has to contend with instances of animals being abused for sport, by people who do not even own them, thus dealing with sickening episodes such as a child’s pet cat being shot with a BB gun. Animal testing is a concept which animal rights activists are firmly against and often resort to desperate means to show this and attempt to stop it. The issue of testing cosmetics on animals to make sure they are acceptable for human use has thankfully almost died out as most consumers now would not buy something that had been tested on animals. Most people find it intolerable that animals may have died or suffered for the sake of a deodorant. However, medical testing is a thornier issue than this. Some in the drugs industry will claim that testing drugs on animals is the only way to make sure they are safe for humans and the only way to monitor side effects. Indeed, we constantly read of studies using rats or mice which prove that a new drug or discovery could help with this, that or the other. However, animal rights activists will claim that even this is not a good enough reason to test on animals. If the drugs do not work as intended, the animals can die, often a slow and painful death, or be left injured for life. It is a delicate balance and calls into play the conflict between human rights and animal rights, for many argue that testing of drugs impacts on a human’s right to life. But is this right at the expense of an animal’s life? It is a difficult question to answer with many ethical ramifications. Humans eat meat. Humans have always eaten meat. And so goes the argument for meat eaters. But vegetarians, who are vegetarians for reasons of animal rights, will argue that humans can exist perfectly well on fruit, vegetables, bread and dairy products without the need to kill animals for food. Vegans go one step further and do not eat anything made form animal produce, including dairy items. They argue that animals should not be kept for what they can give us, such as milk and eggs. And when looking at veganism, another point about eating animals and animal produce is raised. Many animals are kept in poor conditions, including battery hens and chickens, and although they are bred for their produce or to be eaten, they suffer so much in their short life that it infringes animal rights. This is also a point raised in some so-called unethical goods like foie gras, the French delicacy where geese are force fed until their stomachs effectively explode. Many people will not eat this food, even non-vegetarians, because of its method of production. Often, animal rights boils down to the conflict between animal rights and human rights and/or interests. Most animal rights infringements come about because humans believe they are entitled to something. In the case of drugs, this is a valid argument, although not all will agree. The basic question seems to be, is a human life worth more than an animal one? In the case of food, the argument of survival of the fittest is valid. But with sport, it is difficult to see how the suffering of animals could ever be justified.